We made these for our pack meeting last night. I really liked them. 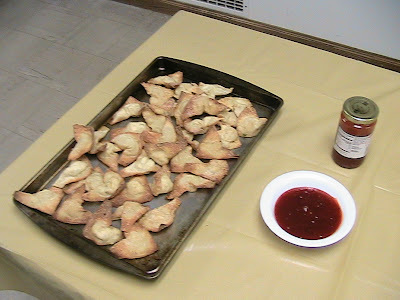 But then, Crab Rangoon is one of my favorite chinese appetizers! 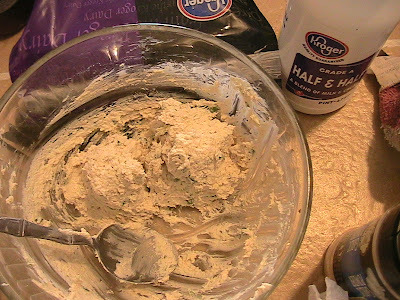 In a medium bowl, combine ingredients. 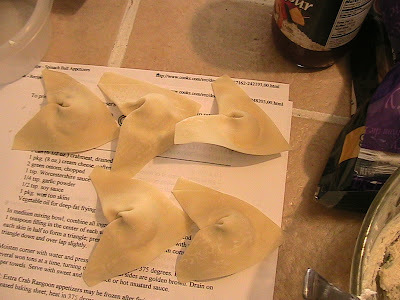 Place 1 tsp filling in the center of each won ton skin. Moisten edges with water. 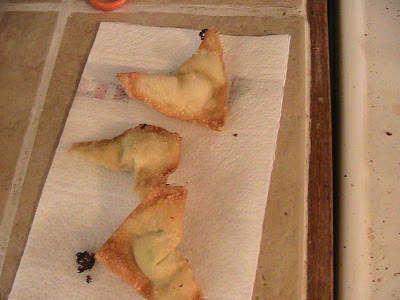 Fold each skin in half to form a triangle. Press edges to seal. Pull bottom corners of triangle down and overlap slightly. 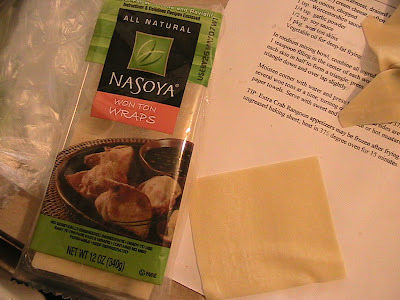 Moisten corners with water and press to seal. Heat oil to 375 degrees (yah, didn't know how to do that, so I just put the burner on medium low). 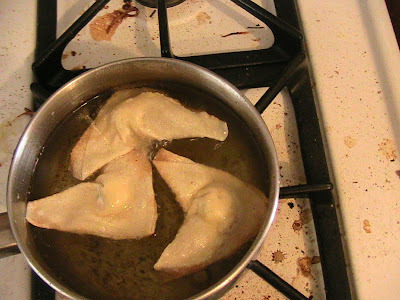 Deep-fry several won tons at a time, turning once, until both sides are golden brown. Serve with sweet and sour sauce or hot mustard sauce! What do you think? Pretty neat, eh? mmmm... i like mine with just cream cheese though! crab is icky.. Thanks for the recipes! I will have to try them!! yummy!